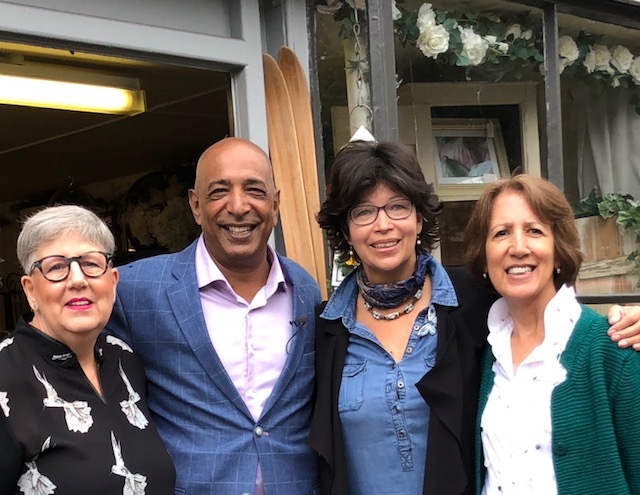 Guess who dropped in to the Godstone Emporium on 23 August 2018? None other than Raj Bisram who’s busy filming the next series of the BBC’s Antiques Road Trip. Pictured here with (l to r) Linda, Gloria and Cecilia.